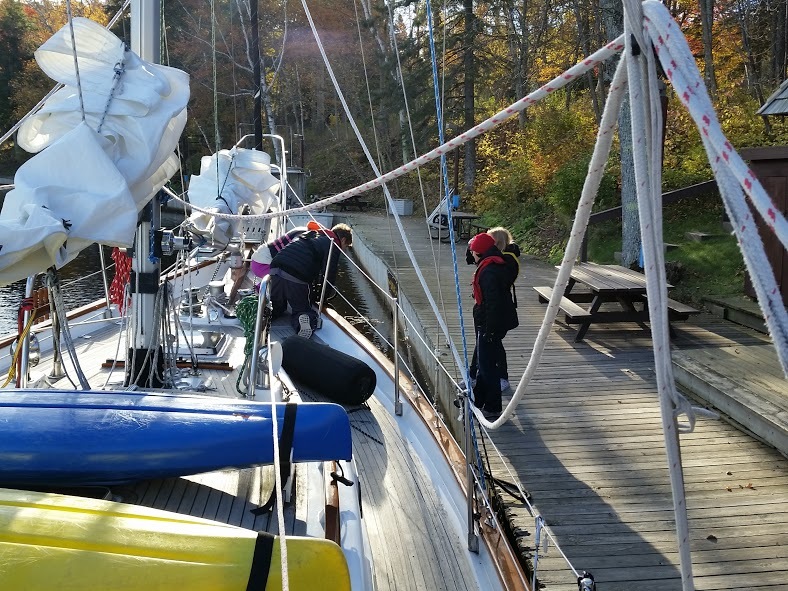 Experience the joy of setting sail and shutting off the engine as we sail on Chequamegon Bay. We offer public sails on mornings, afternoons and evenings when the Abbey Road is in her home port and available. Our Public Sails are designed to get everybody involved, and no sailing experience is required. From the moment we get under way you'll be invited to help raise the sails, take a turn at the wheel, or just sit back and relax. The choice is yours. Public Sails are limited to 6 passengers. Children under 12 years of age must be accompanied by a responsible adult. These sails are not recommended for children under 5. You are welcome to bring your own beverage and snacks. Please dress for the weather. A small bag with extra clothes is fine. Please wear soft soled shoes. Discounts are available for all LSTS members. For those special occasions when you want the Abbey Road for yourselves, we offer private sails and bareboat charters for youth groups trips , team building, family events, weddings, birthdays, or memorials. Whatever occasion you have, we can help you arrange for a memorable sail. Pricing varies depending on the length of trip (hours or days) and program desired. Please contact us to check availability for specific dates and times. Tell us what you are interested in doing and we'll let you know if we can accommodate you. When the boat is not sailing, interested groups can hold meetings, parties or tours aboard the Abbey Road in her slip at Pikes Bay Marina.